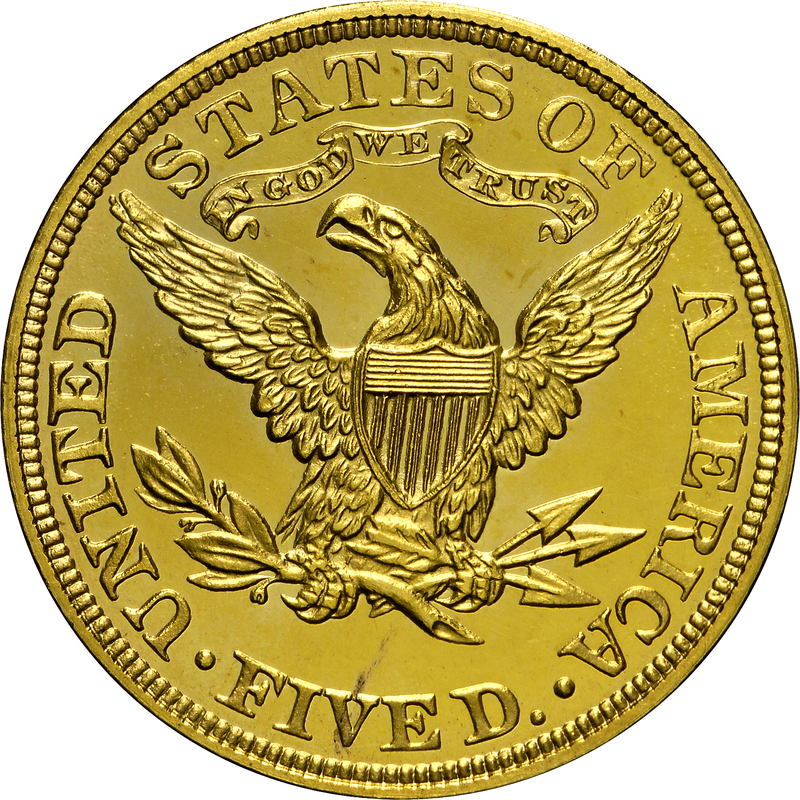 This is representative of the new type with motto added on a ribbon above the eagle. Otherwise, all design features are the same as used in earlier years. 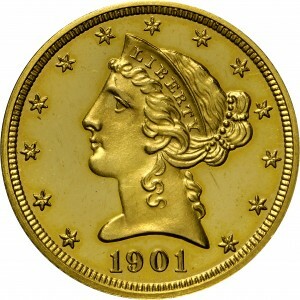 This With Motto type was first minted in 1866 and continued through 1908. 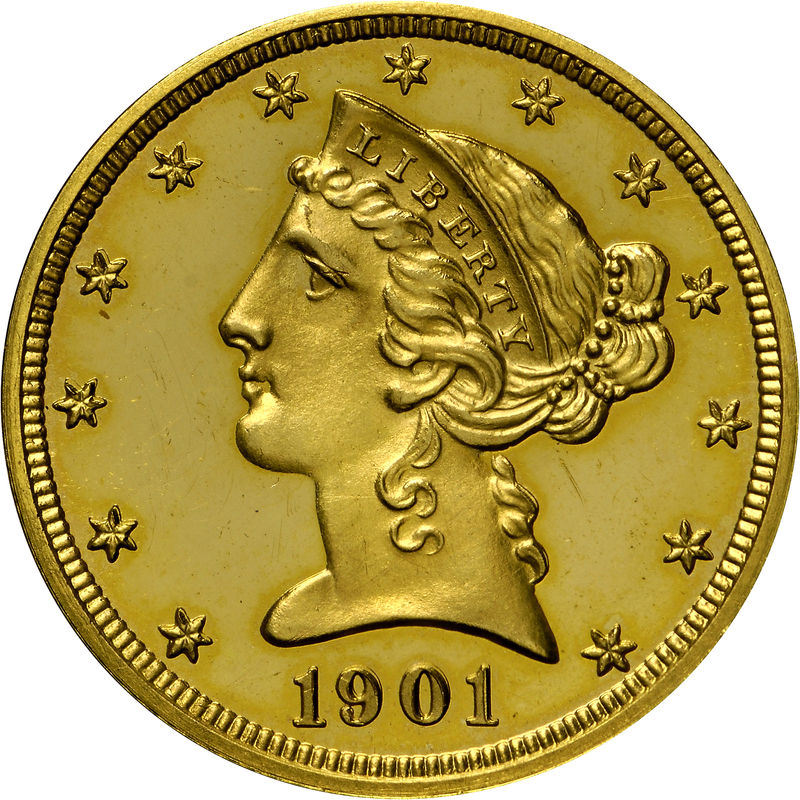 Half eagles were the only Liberty gold coins minted in 1908. Proof mintage this year was fourth highest of the With Motto design. Approximately 50 survive from a mintage of 140 coins. This example has a doubled date and is from the exceptional Garrett Collection. From Bowers and Ruddy's sale of the Garrett Collection, Part I, November 1979, Lot 493. 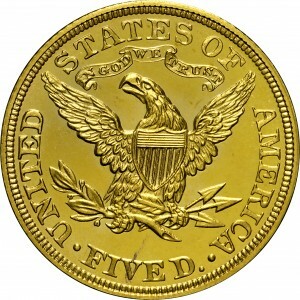 As preceding, but with IN GOD WE TRUST on the reverse above the eagle (as added in 1866). "Obverse: Different from another Proof. Date double or triple hubbed!"